In this paper, we investigate the modal bifurcation in chiral multilayered fibers through an approach of rigorous modal theory. The mirror symmetry of this theory is presented to provide physical insights into the modal bifurcation. The modes that are double degenerate and mirror images originally in achiral fibers are bifurcated by the chirality in chiral fibers. The modal bifurcation in chiral Bragg fibers is examined as an application of the theory. 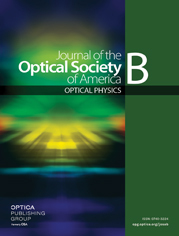 General guidelines of designing chiral Bragg fibers to possess circular polarization selectivity and wavelength selectivity are proposed from physical considerations and verified by numerical calculations.